There often comes a time when your life seems to be on a rollercoaster ride and there is very little that you can do to keep up with your otherwise regular workout schedule. Willingly or unwillingly, you may have to put your schedule on hold for a few days, a few weeks or even a few months at a stretch. While this temporary set back does not seem to affect your poundage, your fat percentage or even your overall health in the initial period, it only takes a while before things begin to take an overwhelming plunge towards the worse. Losing lungs – This is perhaps the first and the most important effect of losing touch with your schedule especially when your schedule includes a range of cardio workouts like kick boxing, swimming, cycling and other aerobic workouts as such. These schedules are like blessing to the lungs increasing the capacity of this life sustaining organ by an extraordinary extent. When you stop with your schedule, your lungs slowly begin to lose its capacity tiring you out more easily. Losing muscles – The second consequence of letting go of your workout schedule revolves around losing muscles. This is especially when your routine includes a sizeable degree of toning and muscle building exercises. When you stop this schedule even for a week, the areas that had developed may get softer and saggy. 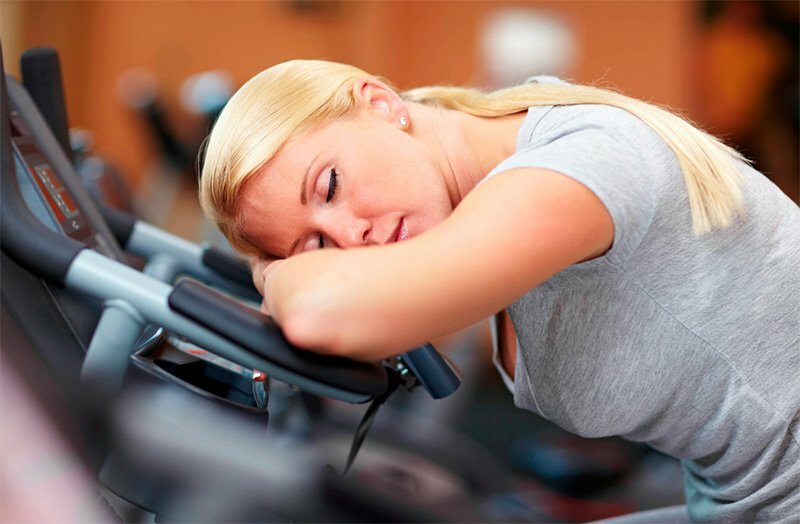 Losing strength, energy, vitality – The third consequence of stopping workout for indefinite period is a general loss of strength, energy and vitality. Exercising in any form enhances endurance levels of the body while relieving stress and toxins from the system. So, when you stop, you allow the body to get consumed by inactivity with greater propensity for stress accumulation. Gaining weight – This is the fourth and also the most dreaded consequence of stopping with your exercise schedule. While gaining weight is a combined result of diet and workout together, when you stop working your body out, the entire process of metabolism that may have gained some speed slows down, thereby impacting the process of putting on the poundage even further. Adding the matter of losing muscles and gaining fat also contributes heavily to grant a more portly frame in place of a leaner silhouette. The mentioned is but the tip of the ice berg. The consequence of stopping your workout schedule may be more far fetched or otherwise, depending upon how long you stay out of touch. If it is only a week or two, you may not get swept away by the impact and can easily return without much damage. However, if you let go for months together, you may have to pick up the pieces and start from scratch all over again.